I have made a more complex version of this dish, but today I wanted a simple side dish that would not distract from the star dish, the chicken. Also, half of my diners this week are not eating starch, so it would be wasted effort. 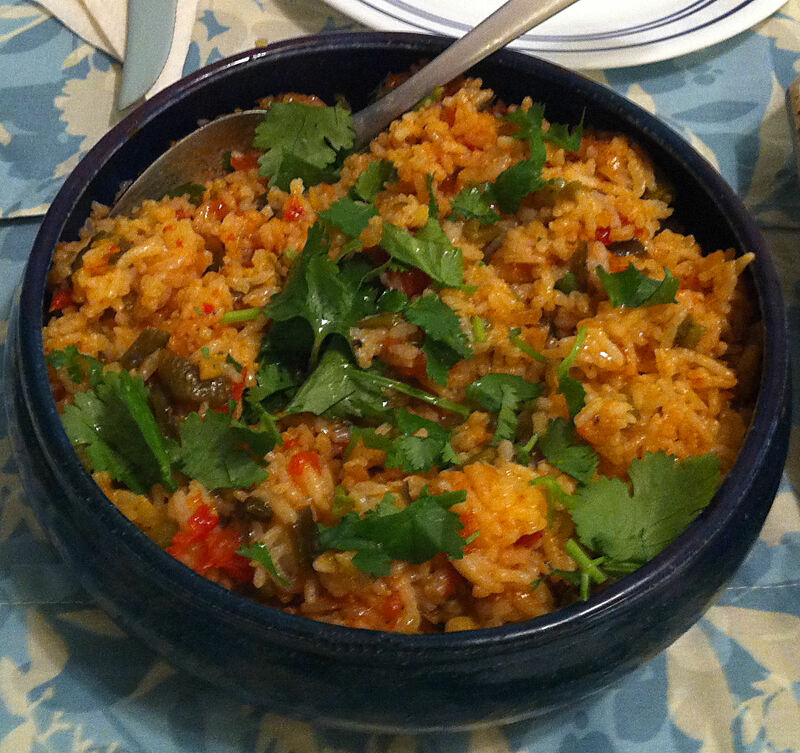 I have been trying to make Mexican rice for years with only limited success.